Four men convicted of one of Afghanistan’s grisliest murders in years have been spared the death penalty. But the questions remains: will they face justice at all? In March a female student in her 20s, Farkhunda Malikzada, was murdered by mob outside a mosque in Kabul. They accused her of having burned a Quran. The trial, which was televised (unusual in Afghanistan), concluded with the four men being sentenced to death, while another eight received 16 years‘ imprisonment. 11 police officers received one year in prison each, while another 18 attackers and eight police officers were acquitted. The sheer number of people involved in Farkhunda’s murder speaks volumes about the acceptance of violence against women in Afghanistan – particularly when you see just how many police officers were present who, rather than trying to stop the violence, ended up being convicted themselves. 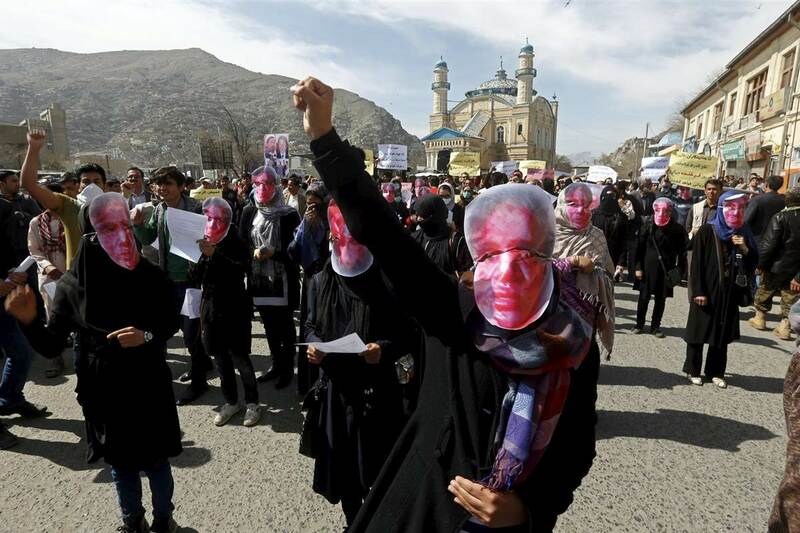 Protests across Afghanistan and abroad have called for #JusticeForFarkhunda, and President Ghani was forced to answer the public outcry, although he has done so with contradictory statements. While the trial was very public (possibly an attempt to answer the public’s demands), the four men’s appeal was so secretive that Farkhunda’s family only found out after their sentences had been changed to 10 or 20 years in prison.